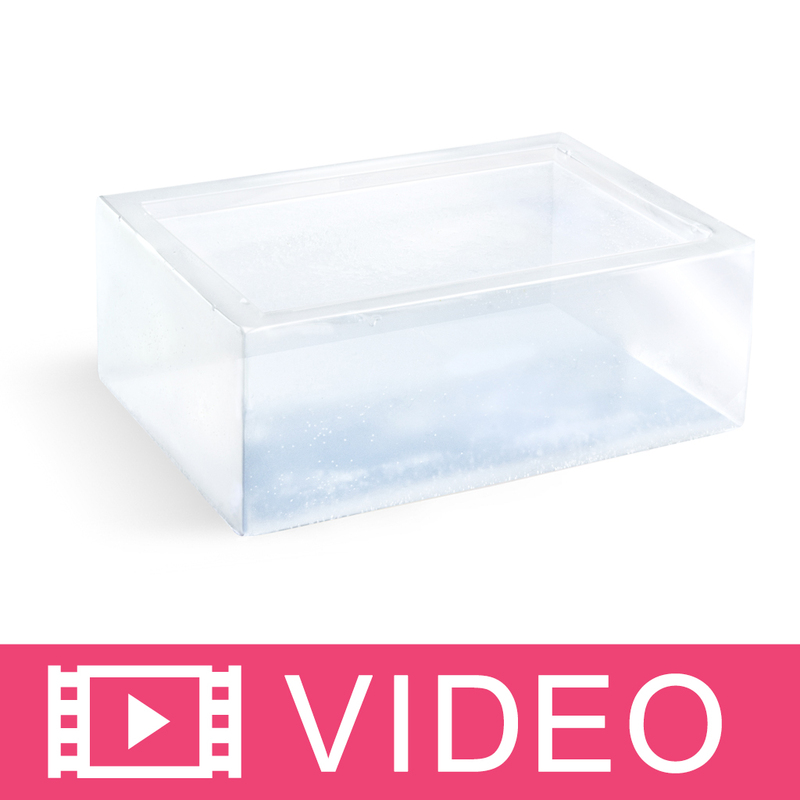 Our Premium Goat Milk Melt and Pour Soap Base is opaque and white in color. It contains goat milk, which is an excellent moisturizer and natural emollient. The ten-pound block makes (40) 4 oz. bars of soap and measures 12" x 11" x 2.25". This soap has a luxurious big bubble lather. 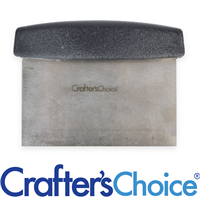 Package: 10 lb Block Melt Point: 119º F.
"Love the creamy texture! Great to work with." COMMENTS: I love how creamy this MP is! It's very easy to work with in all my molds. The only thing I did not like was the bag it came in. I could tell that it was poured into the bag which once the soap dried, the bag was stuck in the soap and hard to remove. "Very gentle for my skin"
COMMENTS: I love the goat milk MP soap. I use it with oatmeal and honey and my skin reacts well to it. I did have a slight problem when I purchased the 10 lb block, as the plastic bag around it was incorporated into the soap and I had a hard time cutting it out. Very frustrating! But the soap base itself is wonderful! I make my grandchildren bars with it, as they have eczema and it helps them. "Very rich and good against the skin"
COMMENTS: I love this soap base so much. It has a faint smell, but if you mix it with "fancy" fragrances they mix together well and it adds to the luxurious feeling. It also doesn't make my skin feel tight like some soaps. COMMENTS: Nice melted consistency, held up very nicely in all my projects. "Premium Goat Milk M&P Base"
COMMENTS: The only goat milk base I use! Creamy lather! COMMENTS: This was the first goatmilk soap base I've used and it was perfect. Melted and unmolded easily and accepted fragrance oil beautifully. I will be ordering again. COMMENTS: This base is a must for many of my customers. 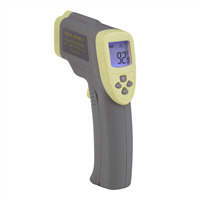 It has a creamy color that accepts color well - especially in the yellow, tan, brown hues. 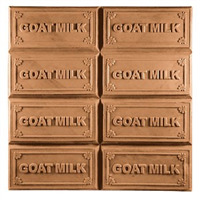 It is a perfect base for making embeds and adds a bit of softness to a bar with these goats milk embeds. This is one of the basic bases I use constantly. My customers love it! COMMENTS: Works wonders and produces a luxurious lather with big bubbles. Easy to cut. Will buy again. 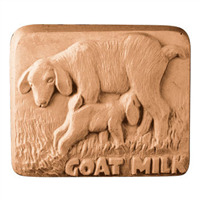 "Goat Milk melt and pour soap base"
COMMENTS: Love This goat milk soap! I have been using it as my "go to" soap base for a few years and my customers love it! Love the 10 lb block! COMMENTS: I love this base. I use more of this then the others. It takes color great and scents. I will be buying more in the near future. COMMENTS: I've used all of WSP's Goat Milk bases..by far my favorite! COMMENTS: My favorite soap base leaves skin soft. Lathers nice. COMMENTS: This is my go to base for most of my soaps! Preforms perfectly everytime! COMMENTS: I bought this for my husband because he loves the goats milk soap so much. I also love it. He and will not bath without it. I add a manly scent in it for him and lavender for me. • Leaves the skin silky smooth. "Love, love, love this base"
COMMENTS: This base is great, love it for nearly all of my soap creations. The issue I have with this is the packaging it came in. Appears to have been poured into a blue bag, which was ok. Issue was could not get it out of the bag. The bag was stuck in the soap and got some out but not all. I have to be very careful with this to keep the bag from causing issues with the soap when I am melting it, plus it is difficult to get out of the soap once melted. Not sure how everyone is working around this, but I think I will have to go back to the 2 lb trays. Price is great, but the work it takes just to get it out of and off of the bag makes me think the trays are a much better option. COMMENTS: I will always use this product because it makes my skin feel wonderful. 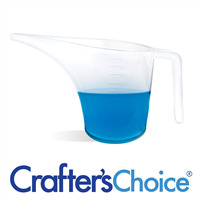 It's easy to work with, easy to scent and works great in my molds. Goats milk soap rocks in my world. COMMENTS: Very easy to melt. Took scent and fragrance easily. Was able to set curls in the mold without melting. Will definitely order again. COMMENTS: This is my favorite M&P base! Easy to work with and leaves my skin so soft after using. This will be my go to base! COMMENTS: Amazing lather, very soft & smooth. love!! 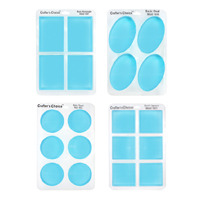 COMMENTS: I have used several melt and pour soaps and by far this brand is superior. I will continue to order this soap. It has increased my sales. Thank you wholesalesupplies. COMMENTS: Easy to work with & feels wonderful! Love this base!